Developers and industry stakeholders are realising the need to do more than just offer a choice property to compete. 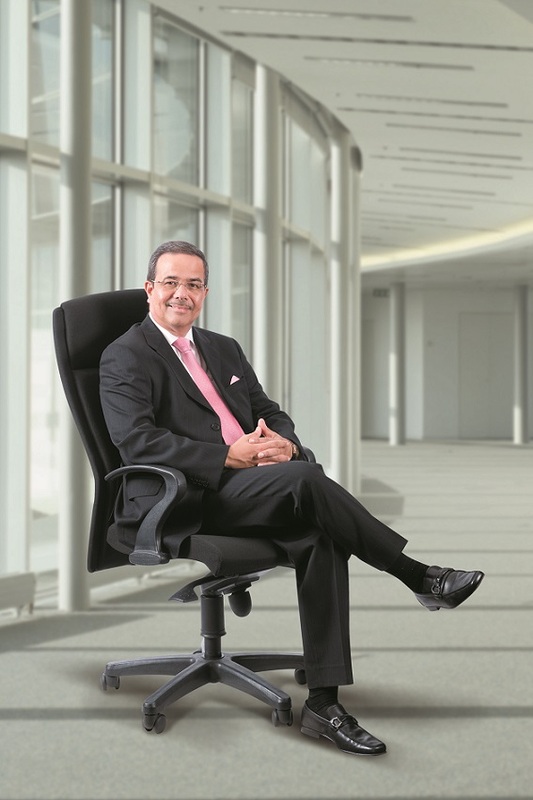 Find out what’s in store for the new breed of managed industrial parks in Malaysia and much more in this Q&A with Dato’ Stewart LaBrooy, executive chairman, AREA Management Sdn Bhd. Some backgrounder: AREA Advisors Pte Ltd (AREA) is a real estate private equity and advisory firm incorporated in Singapore, with a focus on industrial investment opportunities. Its Malaysian operation is through AREA Management Sdn Bhd (AMSB), where all Malaysian investments and activities are managed. The Malaysian team consists of people with extensive experience in real estate development, asset securitisation, fund management, finance, investment banking, and project and property management. They have relationships with property investors, market intermediaries and institutional partners that span over 20 years. Their focus is to collaboratively work with their clients and partners in order to ensure that the best suited risk return profile to their clients is achieved. Since inception, AREA has provided advice on investing in industrial properties in Malaysia, the UK, Australia and Germany to institutional investors and pension funds with total investments exceeding US$1.5 billion. The AREA Ampang project in Kuala Lumpur that’s expected to be completed in 2019. 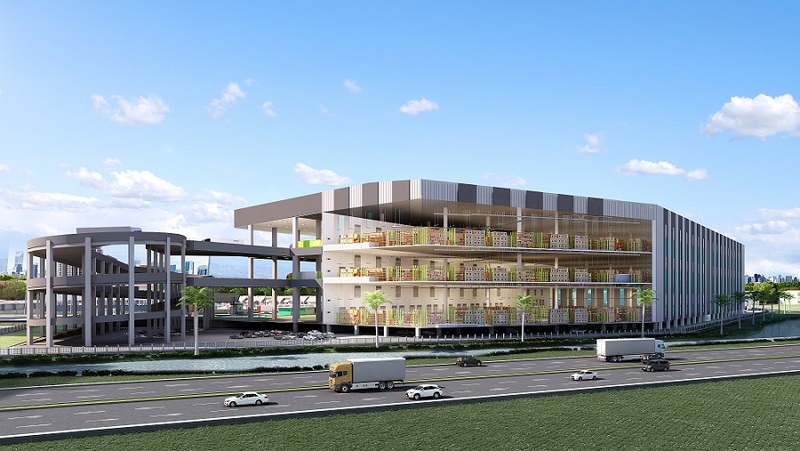 The image is an artist’s impression of an e-commerce and logistics hub. Q: The team behind AREA includes leading lights in real estate. What innovations in products, services and technologies are you bringing to the industrial property sector? A: We spend a lot of time researching the industrial sector as we believe that product requirements will be undergoing a paradigm shift, in the not too distant future. In fact, it is happening right now. We are, therefore, coming up with new design concepts based on our research and investing in these new emerging sectors. Our products will come to market in two years’ time when the demand will be exploding. On the product side, we see a major shift in the design. Our new logistics and e-commerce warehouses will enable our clients to apply the latest technology and at excellent locations to execute their delivery strategies. As labour becomes a major contributor to cost of doing business, there will be a shift to automation and scale (i.e. larger facilities) in the right locations. The warehouse or industrial facility has ceased to be just a building and, therefore, we see a need to provide more; like a community of users with facilities to complement their businesses. Services like “build to suit” facilities for sale or lease, gated and guarded parks with central security, landscape and road maintenance, garbage collection, sports facilities, F&B, medical, banking and worker accommodation, all blend into a complete offering which is the new breed of managed industrial parks that are becoming more popular. The technologies we are looking into are high-tech security, apps for residents of the park to allow visitors to have pre-clearance when arriving at site, scanners for workers taking residence in the accommodation provided, and free Wi-Fi in common areas are some of the new ideas that are being considered. LaBrooy says AREA’s products will come to market in two years’ time when the demand will be exploding. Q: Is AREA out to change the face of warehouse assets and distribution hubs? A: We would like to see professionally run logistics hubs located near major highways that are part of a complete supply solution for the distribution of B2B and B2C logistics companies. That will mean that we are looking at providing a solution to optimising our logistics industry by investing in such parks. Yes. We hope to contribute towards the changing face of the industry by leading it. Q: Would it also look at repurposing old buildings? If so, what would you look for? Yes, we are. A good example is the new e-commerce and logistics hub in Kuala Lumpur which we are building on an old PC board manufacturing facility that we have purchased and demolished. Construction work has commenced and we plan to be ready by 2Q 2019. Q: The explosion of e-commerce activity in the US has led to closure of thousands of traditional retail stores and the need for new buildings which support the activity. While that is unlikely to happen here anytime soon, e-commerce is growing nonetheless. Please comment. A: Yet, we can’t – and shouldn’t – ignore the profound effect that e-commerce is having on just about every corner of the retail world they set their sights on. Amazon, for example, is the proverbial 800-pound gorilla. Their entry into a market segment reshapes shopping dynamics, upsets the supply chain and exerts tremendous pricing and margin pressure. Books came first and we know how that played out. But, one by one, other categories followed and the dominoes continue to fall. Store closings. Bankruptcies. Once proud and dominant, retailers are teetering on the brink. Now you can add small “natural” grocery chains to the list of established retailers that may well get Amazon-ed (which is the most polite way to say it). To be fair, we should not blame department store woes on e-commerce. Clearly, many malls and quite a few retailers were well on their way to oblivion before the likes of Amazon cracked the US$25 billion mark. And the grocery market share that Amazon will pick up with the Whole Foods acquisition is a drop in the bucket, even when combined with Amazon’s existing volume. Still it’s hard to underestimate the magnitude of the Amazon effect. E-commerce represents about 10% of all US retail and Amazon is by far the largest player, with an estimated share of 43%. Last year, Amazon accounted for 53% of all the incremental growth of online shopping, which means they are only growing their dominance. E-commerce is the fastest growing retail market in Europe and North America. Online sales in Western Europe and Poland grew from £174.76 billion [€201.33 billion] in 2015 to £201.90 billion [€232.60 billion] in 2016 (+15.6%). In 2017, we expect total e-commerce online sales to increase to £230.62 billion [€265.68 billion], a rise of 14.2%. Further growth of 13.8% in 2018 should mean that online sales reach £262.46 billion [€302.37 billion]. Online sales in the US in 2015 were $349.25 billion [£269.46 billion] and grew by 14.4% to $399.53 billion [£308.26 billion] in 2016. In 2017, US online sales are forecast to reach $459.07 billion [£354.20 billion] (+14.9%) and grow to $529.76 billion [£408.74 billion] in 2018 (+15.4%). Canada’s online sector is now starting to develop rapidly, helped by a depreciating Canadian Dollar. It is forecast to grow by 22.6% in 2017, from US$12.69 billion [£9.79 billion] in 2016 to reach $19.97 billion [£12.57 billion] in 2017. Shopping malls are rapidly losing their appeal with shoppers. About one-third of malls in the US will shut their doors in the coming years, retail analyst Jan Kniffen predicted. His prediction comes in the wake of Macy’s reporting its worst consecutive same-store sales decline since the financial crisis. Macy’s and its fellow retailers in American malls are challenged by an oversupply of retail space as customers migrate toward online shopping, as well as fast fashion retailers like H&M and off-price stores such as T.J. Maxx. As a result, about 400 of the country’s 1,100 enclosed malls will fail in the upcoming years. Of those that remain, Kniffen predicts that about 250 will thrive and the rest will continue to struggle. Highway view of the AREA Ampang project. Q: How do you see the local mall scene? A: In the Malaysian context, we are seeing a growing number of malls coming onstream and a high concentration within the Klang Valley. Many have been delayed across Malaysia. We are looking at the rate of occupancy of new malls which I believe are running at higher vacancies than they would like to see. I don’t see the closure of many malls in Malaysia but the fact that they are posting a very low growth compared to e-commerce is a danger sign that owners of these malls will need to relook at their strategies moving forward. Q: What will drive demand for AREA’s real estate assets? A: If you examine the industrial sector especially logistics, it has now become clearly the most popular asset class amongst investors. In some cases, new large logistics facilities in Europe command lower cap rates than a prime office space in London. They are a product with long leases that matches the investment strategies of many global pension funds which look for products with predictable cash flows and distributions. The growing demand for new warehousing for e-commerce and logistics will drive our investment decisions over the coming years. Q: How does the company stay ahead of what the market wants? A: Our advisory services complement our funds business in that it enables us to travel to the key logistics markets of Europe and Australia where we get to meet with the global leaders in logistics to see the latest trends and developments in the industry. This knowledge is shared with our funds business partners to see where we can apply the latest trends to the local market. Q: It is said the most successful real estate investors and developers will position to take advantage of the rapidly evolving digital economy. What is AREA’s approach? A: I believe that the lack of a comprehensive property database in Malaysia is the biggest drag on our ability to manage the digital economy. No single real estate investor or developer can take advantage of the digital economy if Big Data is largely absent or inaccessible. In order to stay ahead, we at AREA have invested in commissioning many comprehensive market studies as well as spending time researching the impact of the digital economy on real estate through our network of industry specialists. Our global advisory services also enable us to travel and see what is actually happening on the ground with respect to industrial real estate in the leading economies in Europe and Australia. Q: Like a rising tide lifts all boats, in buoyant times, leasing activity remains robust, occupancy rates of industrial properties are high and rents continue to grow. Today, global uncertainty and political tensions prevail. How do you see their impact on our industrial real estate? A: The big advantage an industrial portfolio has over other asset classes is that it is apolitical. It is driven by only one factor – supply and demand of goods and services (i.e. as in e-commerce, courier business, logistics). It is, therefore, linked to the state of economic growth in the country which is predicted to keep growing at 4%-5% per annum despite the state of politics in the country. In that sector, we have the star performers like e-commerce which is growing at a 20%-25% rate annually and requires more and more warehouse space. That’s driving the growth of logistics services and industrial warehouse space providers like AREA. The industrial space has traditionally been an underinvested sector compared to office, malls and highend residential space. It has tremendous room to grow. Q: The government tells corporate leaders to show confidence in the national economy. How confident are you of the economy? A: Our national economy is strong but in some areas of governance it is weak, and this has led to a loss of confidence. This needs to be addressed. Q: Your outlook for AREA. A: We are still a young company and am proud to have such a terrific team in place so quickly. We are extremely bullish as to the future, and believe in what we are planning to achieve in the months and years ahead.